Here's an actual whippoorwill song. 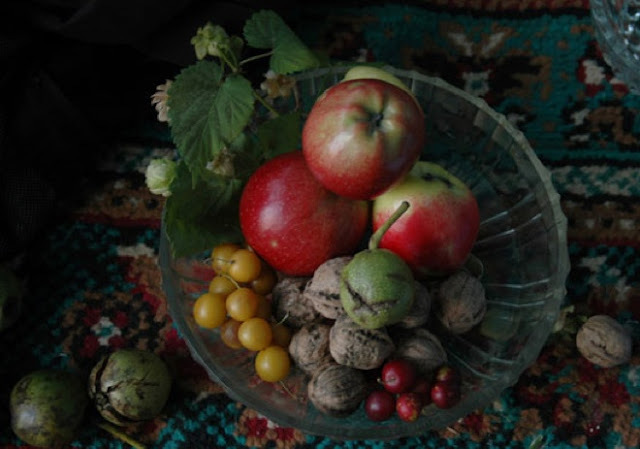 Photographs in this lengthy essay (originating on this page) are of fruits and nuts of ancient lineage, from trees which have been determined to be endangered to one degree or the other, many to the brink of extinction. 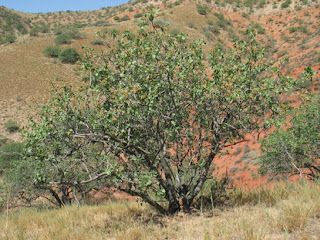 According to Flora & Fauna International, their report "...identifies 44 tree species in Kyrgyzstan, Kazakhstan, Uzbekistan, Turkmenistan and Tajikistan as globally threatened with extinction. 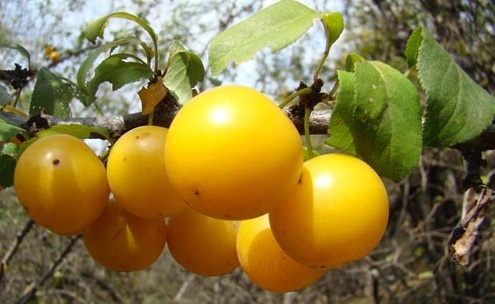 Many of these species occur in the unique fruit and nut forests of Central Asia – an estimated 90% of which have been destroyed in the past 50 years." 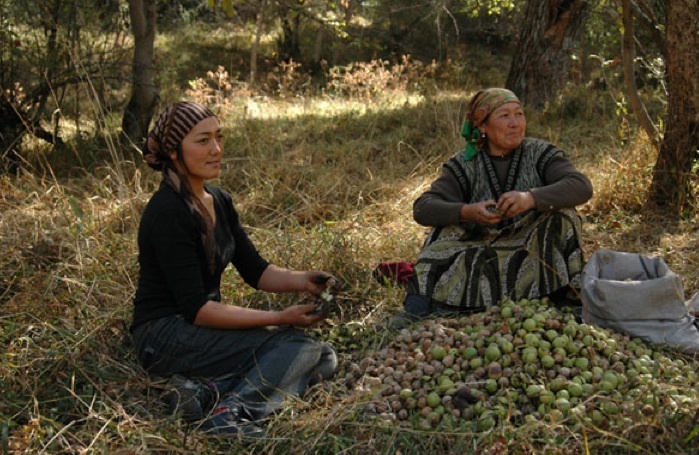 "The Central Asian fruit and nut forests have been described as a biological Eden and have long held an important role in human culture. 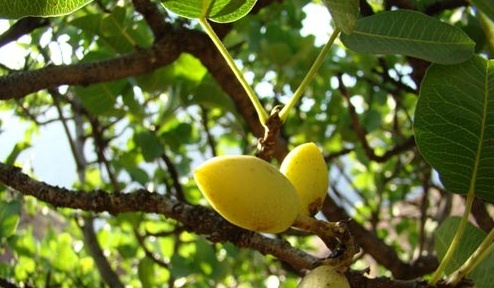 It is believed that many of the domesticated fruit and nut trees we use today originated from these wild varieties." 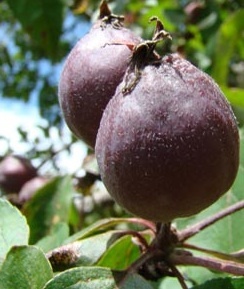 "Owing to the often fragmented, mountainous geography of the landscape, these wild apple, plum, cherry, apricot, walnut and other plant species display exceptionally high genetic diversity, which could prove vital in the development of new disease-resistant or climate-tolerant fruit varieties. 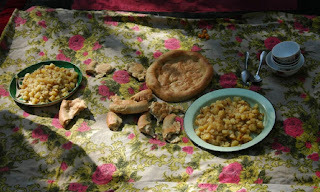 This could be of huge importance to future food security as the global climate changes." 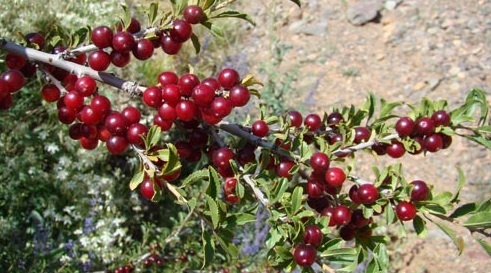 The Red List of Trees of Central Asia, published with Botanic Gardens Conseravation International, targets overgrazing, cutting for firewood, but also disease, insects, poor regeneration, intermittent fruiting, and overcollection of nuts and fruits. "Trees are the cornerstones of many ecosystems; the building blocks on which millions of other plants and animals rely. They stabilize soils, regulate water cycles, provide us with a wealth of products and, of course, store carbon. Trees are quite simply a fundamental part of life." "Yet over 8,000 tree species, 10 per cent of the world's total, are threatened with extinction. 1,002 species are listed as critically endangered - likely to go extinct unless urgent action is taken now to save them." 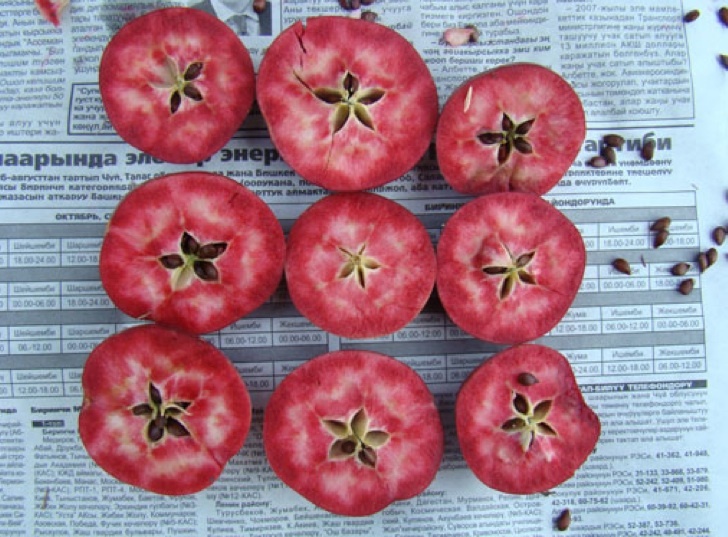 A particularly rare and genetically old variety of apple with amazing red flesh. 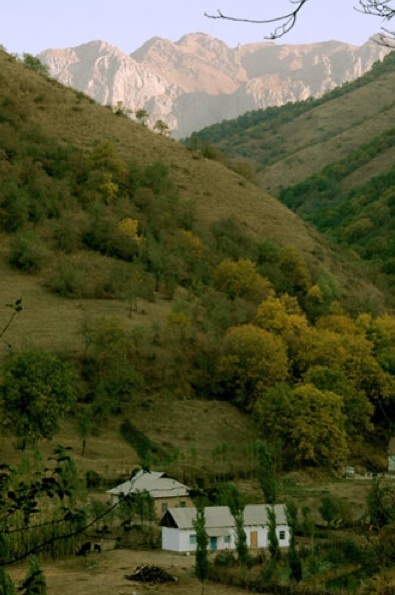 "The Global Trees campaign, a joint initiative between FFI and BGCI is the only international campaign dedicated to conserving threatened trees. It exists to secure the future of the world's threatened tree species and their benefits for humans and the wider environment." Naturally I concur with the essential function of trees and I also can't resist noting, in the light of so many mudslides around the world, that "stabilizing soils" is one of the many services provided by trees. And yet, a search of their resources resulted in exactly zero mentions of ozone...so I guess my next project will be writing them to ask, why not? Because for one thing, some of their photos have foliage that looks exactly like the leaves around Wit's End, that have been damaged by exposure to ozone - lacking chlorophyll and singed. 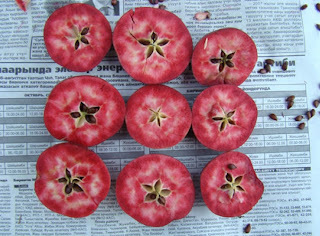 These apples, for example, and the walnuts. 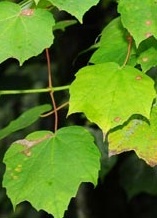 And for that matter, this critically endangered Chinese maple. Is it possible that these well-intentioned groups don't know that trees damaged by exposure to tropospheric ozone are more prone to succumb to attacks by insects, disease, fungus, and extreme weather?? Along those lines is today's big story (at least, for me) - a fungus is being blamed for decimating trees in England - along with some more pictures of the luscious produce from the report above because soon, it will be gone forever. "Jason Hill among larches he is cutting down in Afan Valley: 'I was due to be coming here to thin this lot, but now we’re flattening them all; it’s shocking.'" Through the mist and mud, Jason Hill reaches the forestry machine and climbs in to start the engine. "It's really something I don't want to be doing," he says. "But if I don't do it, somebody else will. It's devastating." Seated at the computer controls, he operates a mechanical arm which grips a 30ft tall larch and slits through its base. Swinging it to the horizontal, the arm strips the tree down to a denuded trunk and slices it into even lengths of log that drop heavily into a pile. The process takes only minutes before the machine turns to the next tree. In woodlands around the UK, just as here in Afan Valley, south Wales, the race is on to fell thousands of trees in a desperate effort to contain a new disease which poses a threat to British forests on a scale not seen since Dutch elm disease wiped out millions of trees, changing the landscape of the country forever. 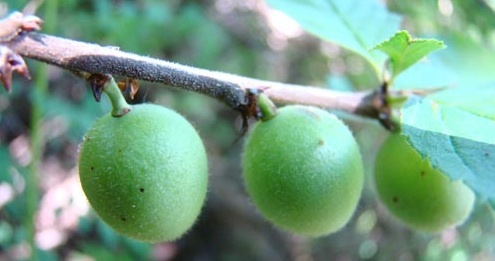 "In 2003, it turned up in a handful of oaks, but they seemed to have resistance and the outbreak did not seem to be too worrying. Then last year, taking everyone by surprise, the phytophthora jumped species and rapidly began infecting and killing the commercially important Japanese and European larch trees. It has also been found in several conifer species, including Douglas fir. Now the battle is on to stop it." "'I don't want to scaremonger, but we are very worried,' said Roddie Burgess, the head of plant health at the Forestry Commission. Along with the ability to jump between species, it is the way the disease spreads and how fast it kills that is frightening the forestry industry. Other forests are undergoing similar work on their diseased trees, with the sudden demand creating a shortage of contractors and machinery. Many private landowners are having to get out there with a chainsaw to try to meet their legal requirements." "'We have seen an influx of new pests and diseases in the past decade – the processionary moth is causing great problems in west London after being imported on an oak bought to screen a supermarket car park. 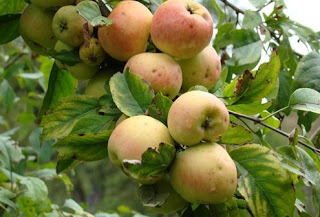 But the ramorum is certainly the big one to date, and we are just holding our breath until we can carry out more surveys when this year's foliage emerges.'" "Most declining trees don’t have Phytophthora. They are declining without it, because soil acidity, which leaches calcium and makes phosphorus unavailable to trees, is killing the roots." He basically was harrassed for this viewpoint and left California for the East Coast. where according to this discussion, he discovered the problem had spread. I corresponded with him over two years ago and we disagree - he attributes tree death to acid rain, and although I think acid rain is a huge problem, it doesn't account for plants that are grown in enriched soil having the same symptoms. But we do agree, pollution underlies the susceptibility to naturally occurring pathogens. 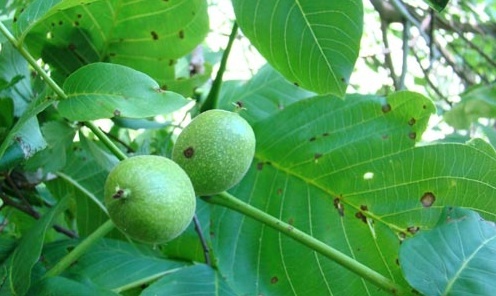 "Zingaro found what initial lab tests show to be Phytophthora ramorum in trees in Pennsylvania and New Hampshire as well as in the tree in New York. 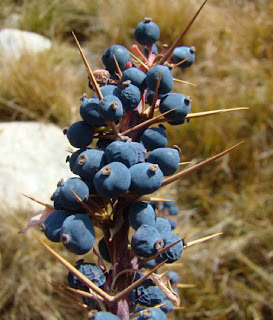 ... 'The notion that the nurseries are spreading this is false,' said the outspoken Zingaro, who has clashed with forestry officials in the past. 'These infections have nothing to do with California. As I and others have been saying for over 10 years, the infection is opportunistic, secondary and everywhere.'" 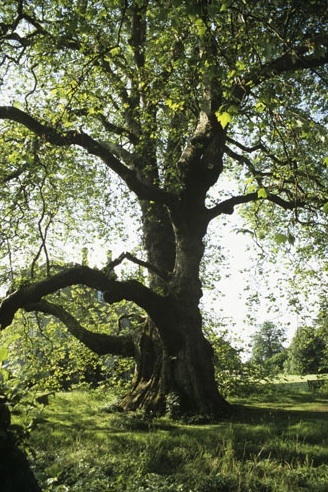 For a little reprieve from the doomy gloomy, here is a suite of historic trees in England, with their descriptions, from the Guardian. 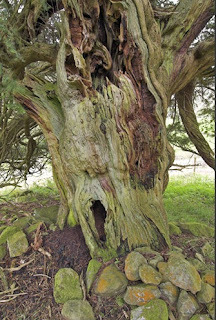 "The Ankerwycke yew There may be yew trees in Britain that are older but the 31-ft wide yew (Taxus baccata) found in the ruined priory of Ankerwycke in Berkshire has witnessed at least 2,000 years of history and myth-making. It is said to have been the spot where King John signed the Magna Carta in 1215 and is rumoured to be where Henry VIII conducted his first liaisons with Anne Boleyn. 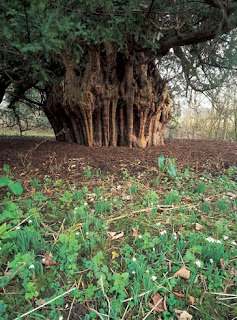 Many yews are found close to abbeys or in church yards. They were considered holy trees by the Celts and often symbolise death and resurrection in Christianity – due to their ability to sprout again and put on new growth. Many yews will be older than the ancient churches they grow near." So wrote Wordsworth in his 1803 poem, Yew Trees. One of the quartet fell victim to a storm in 1883 but three still survive in the magical valley of Borrowdale in Cumbria. 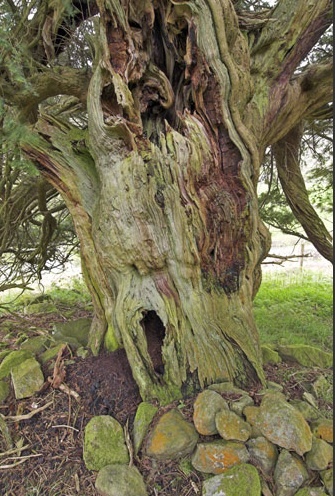 This yew (Yaxus baccata) can fit four people inside a hollow in its trunk." "Mottisfont Abbey plane tree City parks are home to many impressive plane trees but they are dwarfed by one great plane (Platanus x acerifolia) which grows in the grounds of Mottisfont Abbey, a 12th-century Augustinian priory in Hampshire. Unless the ancient tree hunt proves otherwise, this is believed to be the largest tree of its kind in the country, its branches spreading out over an area of 1,500 sq m."
"The Spanish chestnuts, Croft Castle The avenue of pollarded sweet chestnuts (Castanea sativa) march for a kilometre west of Croft Castle in Herefordshire, a country home with a 1,000-year family history and more than 300 veteran trees. Like many ancient trees, they are bound up in storytelling and legend and it is suggested that they were grown from nuts that came from the wrecked Spanish Armada in 1588 and planted in 1592"
"...botanist Sally Keith retraced the steps of the pioneering ecologist Professor Ronald Good, who cycled the lanes of Dorset in the 1930s, recording in great detail the plants he found. Of the 1,500 woodland sites Good noted, Keith revisited almost 100, as close to the day and month of the original survey as possible. 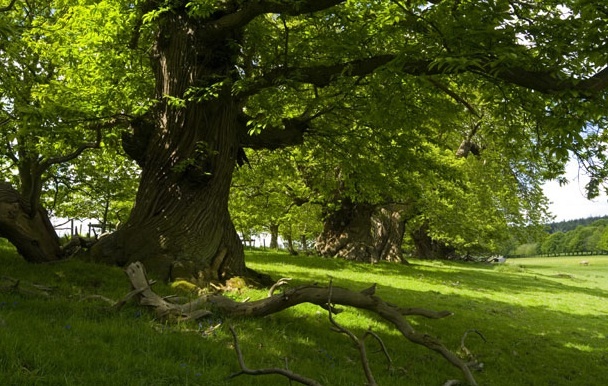 Keith believes there are two key reasons for woodlands becoming less distinctive. First is the end of coppicing, in which wood was harvested from different parts of a forest in rotation, creating bright clearings and letting in light to favour less common plants, such as red bartsia. In her study, 117 species had vanished, while only 47 new plants had arrived. "Traditionally, woodlands had glades, meadows and ponds, giving many more habitats and so many different things to see, rather than wall-to-wall trees," said Hetherington. The other key reason is the increased run-off of nitrogen from farms, due to increased fertiliser use and intensive livestock rearing. Some plants, such as holly, thrive on high nitrogen levels; others do not. "Many woodlands are now just fragments surrounded by farmland," said Keith, adding that this exacerbates the problem. 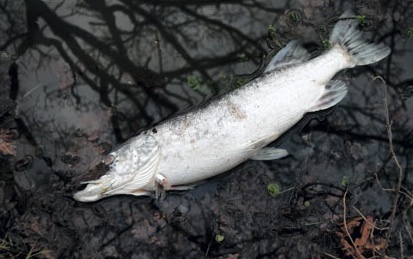 "It's both fascinating and disturbing," said Professor James Bullock at the Centre for Ecology and Hydrology in Wallingford, Oxfordshire, who worked with Keith. "It's likely to be going on undetected elsewhere, but as we have Good's maps we can see it here. We are losing diversity on a large scale, with certain species driven out across the whole landscape. We can expect it to be happening across the country and Europe, as the same things are happening there." "U.S. agricultural practices create 58 percent of nitrous oxide in the world, which is the third most prevalent greenhouse gas in the atmosphere. Scientists believe nitrous oxide contributes to global warming about 300 times more than carbon dioxide." “We’re finally going to get the bill for the Industrial Age. If the projections are right, it’s going to be a big one: the ecological collapse of the planet. 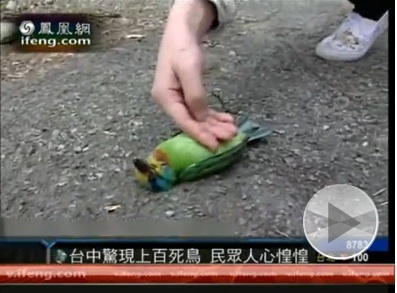 It's time to return to the reports about animals dying all over the world. This has long been a prediction here at Wit's End, where I contend that plants are in drastic, catastrophic dieback - and that the accelerating collapse of the food chain will inevitably lead to mass animal deaths. Certainly, basic crop prices are skyrocketing. Someone has helpfully created an interactive map tracking mass animal deaths, which is being continuously updated here:, but I'm going to post links directly to a couple of the reports beneath it, just for fun. Are we having fun yet? 300 dead birds reported in Alabama, January 13. "Experts say the freezing weather caused the deaths. Nature lover Stuart Hall, 60, spotted the fish in the pond on Chudleigh Close, Stockport, during a walk near his home. The 500 fish - many thought to be large bream and pike - were set in the ice on the pond. Mr Hall, of Mostyn Road, Hazel Grove, said he was worried the water may be poisoned. He said: "I was shocked, it was awful to see all that life just gone. It's like the 'birds dropping from the trees' scenario, but on a much larger scale. "When you love nature and the countryside it's heartbreaking. There is no sign of life here whatsoever - not one duck." It’s the latest in a series of strange animal deaths around the world which has claimed the lives of birds including doves, coots and starlings and several species of fish. The USGS is also maintaining a mortality map for America, the most current version of which can be accessed here. Interestingly, most events are colored purple which, according to the key, means the mass deaths reported are attributed to "other" - in other words, not toxin, viral, bacterial, parasitic or fungal. If it's all too much for you, this spoof about the unwashed homeless in LA - gutting and grilling fallen pigeons on Sunset Boulevard - is a diverting grim and grisly satire almost worthy of Jonathan Swift's Modest Proposal to, ahem, eat the poor...and actually was taken seriously by a number of earnest folks! It appears that we have missed deadlines established to clear the haze from our national parks - and if it's that bad in remote wilderness, imagine how much worse it must be in more urban areas! Saturday marks the deadline for the U.S. Environmental Protection Agency to approve most state plans aimed at curbing pollution from coal-fired power plants and industrial sources to improve visibility at 156 national parks and wilderness areas such as Shenandoah, Mount Rainier and the Grand Canyon. But as of Thursday, the agency hadn't approved any state plans — or come up with its own, as required. 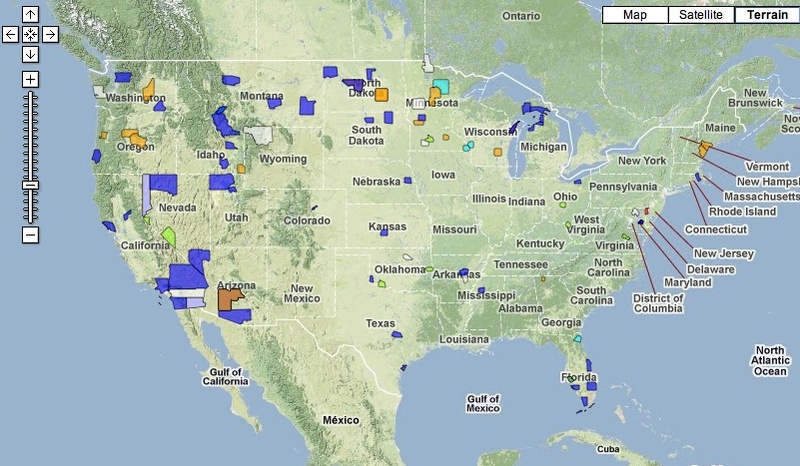 "Here's a program intended to clean up skies of the nation's most pristine areas. It has been pushed aside for too long and must be made a top-tier priority," said Stephanie Kodish, attorney for the non-profit NationalParks Conservation Association. The group plans next week to file a notice of intent to sue the EPA for missing the regulatory deadline. Nearly three-quarters of states failed to meet an initial 2007 deadline to submit plans requiring decades-old facilities that contribute to haze at parks to update old equipment. So far, only 34 states have done so. Until states file plans and the EPA approves them, companies aren't obligated to make changes under the haze rule. The EPA, however, says other clean air rules have provisions to protect parks and wilderness areas. ...The regional haze results from sulfates and nitrates from coal-fired power plants and industrial boilers, as well as automobiles, carbon from fires, soot and windblown dust. The high cost of controlling emissions, legal battles, the complexity of rules, industry resistance and competing clean air rules have slowed progress in clearing it. Haze-causing pollution continues to obscure scenic vistas that draw millions of visitors to parks and wilderness areas throughout the country. In eastern parks, average visibility has dropped from 90 miles to between 15 and 25 miles, while visual range in the West has been reduced from 140 miles to between 35 and 90 miles." There are a bunch of quotes from industry spokesman whining about the cost of technology to scrub emissions from smokestacks, never acknowledging the costs of not doing so, of course...and the following passages are laden with irony, for me, since there are complaints that people driving cars can't see the views!! ..."When you think of national parks, you think of clean and clear air," said John Bunyak, policy chief of the National Park Service air resources division. "If you load up the kids in the family van and drive thousands of miles to the Grand Canyon and can't see the bottom of the canyon, that to me is a problem." ...At Shenandoah National Park in Virginia, visitors can only see on average about 12 miles, or one-tenth what it should be under natural conditions. "Historically, our claim to fame was to see the Washington Monument," located 80 miles away, from the park's Skyline Drive, said Jim Schaberl, park air quality manager. "It's a rare occasion, generally during the winter, when people can see the monument from the drive." Evidence of the serious damage done to children even before they are born continues to mount. Separate studies that followed mothers in Manhattan and Boston both found that those with the most exposure to air pollution had children that tested significantly lower on IQ tests. "...everywhere he went, he discovered that the Chinese state had embarked on a massive program of ecological destruction. It has turned whole rivers poisonous to the touch, rendered entire areas cancer-ridden, transformed a fertile area almost twice the size of Britain into desert—and perhaps even triggered the worst earthquake in living memory. The über-capitalist Communists now have the highest emissions of global-warming gases in the world (although the average Chinese person generates one-seventh the emissions the average American does). We are all trapped in a greenhouse together: Environmental destruction in China becomes environmental destruction where you live. First, 700,000 people are dying every year in China as a result of the extreme pollution, according to the World Bank. They can't be compensated at some later date with a wind farm. Second, and even more crucially, the West "cleaned up" largely by exporting its pollution to poor countries like China. Some 69.5 percent of China's energy needs in the first decade of the century have been fueled by the dirtiest and most planet-cooking fuel of all: coal. At the same time, the Chinese government is significantly increasing funding for renewable energy sources—but as an addition, not a replacement. This is a crucial distinction. If you ate a KFC bucket and a Weight Watchers meal for lunch, nobody would say you were on a diet. The Weight Watchers has to replace the KFC. In the same way, the renewables have to replace the coal, not just serve as an add-on. That's not happening today. Not at all: Coal burning is increasing in China." The rest is for the most stalwart proponents of the relentless Wit's End quest to shake the scientists out of their complacency. High school science teacher and reluctant crusader Greg Craven has posted the transcript to a talk he gave at the American Geophysical Union meeting last month. He had lost the prepared notes he had intended to deliver, and so, inspired by some no doubt impassioned conversations, he delivered instead a heartfelt plea to the assembled scientists - to use their expertise to warn and inspire people about climate change and the very dangerous violent extreme weather it is already unleashing upon the environment and all those species who inhabit it. Here are some excerpts...followed afterwards by yet another of my own plea to scientists, with their replies. "This is not a talk. This is a primal scream. For help. For salvation. For the lives of my children. And I will not apologize. I will not yield. I will charge the stage and scream my message if I must. I am in the zone. I am over the edge. I am gone. I am enlightened. I am maniacal. I am insane. I am terrified at what I have just become. All of my life has been to serve this single moment. And you may need to forcibly remove me to the hospital, screaming like a madman. But you will not stop me. For I have revelation to bring. I am a fanatic of science. I love you, and what you do. What I bring you is the loving but eviscerating criticism of the outsider looking in. So I'm going to give you the gift of brutal frankness. Because you have done an abhorrent job at communicating climate change to the public so far. Because what you've been giving them up to now, as a scientist, is information. And with the terrifying divergence between public opinion and scientific opinion in the last few years, with public opinion in the U.S. plummeting over the last several years, that strategy clearly is not working. ...You must begin communicating as citizens, as a father, as a mother, with whatever feelings are in your heart, with your fears, speak to them of your hopes, let them know about your befuddlement at the divergence. And tell them frankly, forthrightly, sincerely, about any terror that you are ignoring, with your head down, soldiering on, hoping that someone, somewhere, sometime will fix the problem. Well I've got sober news for you. You, in this room, in this community of science—you are that someone. You are the ones we have been waiting for. You are the last battle reserves in civilization's last stand. And you damn well need to saddle up and come down off that hill as the cavalry, to turn the tide of battle when all hope seems lost. So sound your bugle call and come down into the bloody fray. ... Nothing we've done has worked. Giving information hasn't worked. Climate crusades haven't worked. Striving for social change hasn't worked. Pleading on behalf of future generations, and all the other species on the planet which are threatened by the next great extinction from us--on the magnitude of the Permian extinction, where over 90% of every organism on the world perished. Despite all our hopes, even finally getting an enlightened leader, who gets it, who gets the problem, and installs a perfect team of science advisors. Even that hasn't worked, and that seemed our last best hope. In fact we've gone backwards. But sometimes burdens that cannot be borne must be borne, because there is no remaining option. That moment is now." There is lots more along the same lines - you can read the whole thing, and learn more about Greg Craven, by clicking on the link above. Following is my latest exchange with scientists, and the editor of the New York Times (who will never acknowledge my letter!) The first reply says, in essence, activism is not my department because I'm not very good at it - I already posted the kitchen table comic which pretty well explains how I feel about that excuse; and the second is, to my mind, unjustifiably optimistic about the prospects of limiting the emissions that result in ozone production. But hey, at least they answered and understand the issue. Dr. Manning, who is really very knowledgeable about ozone, apparently has better things to do than share his expertise with the rabble. I last wrote you in August of 2009 to inquire about the impacts of ozone on vegetation. Only Dr. Sharkey was kind enough to reply. Since then, I wonder if any of you realize that we are in the midst of a mass extinction of perennial vegetation, as well as devastating reductions in annual crops, from ozone - and simply decline to inform the general public? Or, have you actually not noticed the rapidly accelerating death of trees, perennial shrubs and plants (including ocean phytoplankton), and extremely diminished production of agricultural products from rice to wheat, due to exposure to ozone? Don't you, as experts and persons of influence, feel some responsibility to inform the citizenry and policy makers that if we don't cease burning massive amounts of fuel, on an emergency basis...to conserve and ration, and switch as rapidly as possible to clean sources of energy...we will most certainly starve - because the inexorably rising levels of tropospheric ozone are interfering with the essential ability of vegetation (the base of the food chain) to photosynthesize? I would very much appreciate any response. For your information, I have been collecting links to research and documenting the decline here. Ozone clearly has detrimental effects on vegetation but so far the effects on crops are estimated at the 5 to 10% level for large regions with high levels. We have been examining this issue and publishing work that shows that left unchecked it could become a more severe threat. Of course ozone also causes damages to human health and we have tried to document these effects on the economy through lost wages, leisure time, and increased hospital care to treat increased asthma and other respiratory problems, which are actually a greater economic threat than its effects on vegetation and crops. We work closely with, and with funding from the EPA and so I believe we are doing what we can to support formulation of better policies and measures to control ozone levels. The US and Europe have regulatory processes in place to deal with ozone. We have also worked to alert policymakers to the potential for hemispheric transport of ozone, making it that much more difficult to control domestic levels with only domestic controls, and are working on the issue in China and elsewhere in the world to help alert countries as to why it is in there interest to control ozone levels. I’ve discussed some of these aspects of the problem with media when I have had the chance. 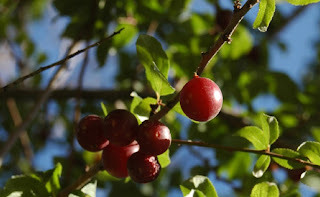 We are concerned with many environmental threats—global climate change, mercury, ozone, particulate pollution, etc.—that are all having various deleterious effects on vegetation, and so it is important to understand what is causing what and how these different pollutants interact so that regulatory measures can most effectively reduce the threat. Problems like these need pushes from many directions, and I feel most comfortable and that my efforts are more effective if I work to conduct careful scientific studies and assessments and bring these to the attention of regulators and policy makers, as opposed to developing a strong advocacy approach to the problem. Strong advocacy and highly visibly public actions may be needed as well, but that just isn’t my strong suit. Increases in ozone are known to have an impact on climate as ozone is a greenhouse gas. Also, as pointed out by "Wit's End" and John, near-surface ozone has a detrimental impact on crop yields, and on the net primary productivity and carbon content of natural vegetation. This means that ground-level ozone also has an indirect impact on climate by reducing the amount of CO2 that can be taken-up by the land biosphere. This may double the effect of tropospheric O3 as a climate forcing factor (Sitch et al., Nature, 2007). If we were to take a pessimistic view, we might say that this means that increases in tropospheric ozone are really bad news for both climate and food availability. On the other (more optimistic..;-) hand, you could conclude that reversing the increase in tropospheric ozone is a major opportunity to partially tackle two of the biggest 21st century problems. As John suggests, pollution controls (particularly regarding NOx) have the potential to reverse the rise in O3, particularly if they are coupled to reductions in anthropogenic emissions of CH4. I attach a brief paper (by myself and Hazel Jeffery) that discusses the latter point (building on previous studies from John's group at MIT). I certainly don't want to convey anything other than moral revulsion towards the assassin and those who encouraged him - and sympathy for the victims in Arizona...the ones that were shot and the friends and family who love them. But I cannot help but observe that this memorial looks like a trash heap. What is wrong with Americans? Why can't they commemorate this tragedy with natural flowers? Why do they feel a compulsion to litter it with plastic balloons??? Miss Zawacki - don’t trade your credibility for a moment of passionate anger. Keep up the fight. One of the nation's biggest suppliers of these balloons is located a couple of miles up the road from me. Across the street from them is our congressman's office. He's Paul Broun, whose well deserved reputation for saying stupid things proceeds him. I link some of this region's intellectual deficiencies to the agriculturally polluted groundwater around here. Arsenic was used heavily to fight the cotton boll weevils back in the day. And so the things we do to our Earth today effect many future tomorrows. why cant we celebrate the death with music and dance instead of picking flowers! Hello Earth. I should have added, music and dance...and poetry. However, as a lover of flowers, I don't see picking them as a bad thing, especially if they are cultivated for that purpose - any more than eating fruits, vegetables, and grains as long as they are tended and the soil replenished. Flowers represent fertility and are gifts of love. Thank you for visiting witsend and please tell me the approximate location of the pictures on your blog - they look exactly like mine! Came to your blog via CProgress. I admire your site, and passion. Many people feel that these are detrimental to the area not only visually, but also threat to the wildlife in the area. But those people lost the battle and these wind towers were placed up in 2008. Supplying the electrical power though should have made all those people against a little more thankful.